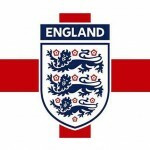 Subject: Is London Manipulating Gold and Silver Prices? + five = 8 Required Please enter the correct value. Is London Manipulating Gold and Silver Prices? As we've explained before, manipulation of gold and silver prices is happening right here in the United States. Our Global Resources Specialist Peter Krauth interviewed silver market analyst Ted Butler last year, who explained how big financial institutions were using high-frequency trading to depress silver prices. "It's Like Gold On Steroids"
Lately there has been quite a divergence in the behavior of those investing in silver compared to those holding gold. One group is running scared, while the other is calmly stocking up. Good news for those investing in silver: The price slump is ending, making now a good time to buy. Silver prices have slid since the start of 2013, and the white metal's down nearly 9% so far this year. Silver, which had hit a record high of $49.79 an ounce in April 2011, was trading for $29.36 Tuesday afternoon. So far in 2013, buying silver coins has been one of investors' favorite ways to profit from a climb in the white metal's price. 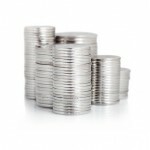 The demand for physical silver from small investors in the form of coins is really remarkable. A record 7.5 million ounces of silver coins were sold in January. The world's most respected precious metals consultancy, Thompson Reuters GFMS, came out last month with its 2013 forecast for silver prices. After being bearish on silver prices over the past few years, GFMS has come around and predicted a good year for silver investors in 2013, with gains as high as 38%. While gold, with its sky-high prices, gets most of the media attention, investors should be just as interested in how to buy silver. 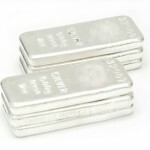 Silver turned in a solid performance in the second half of 2012, rising from a June 28 low of $26.13 an ounce to its recent reading above $33.00. And, to steal a line from poet Robert Browning (or, if you prefer, Frank Sinatra), "the best is yet to come." You've heard that silver prices are expected to increase amid growing demand for the precious metal, as investors worried about central bank and government spending policies seek alternatives to stocks. 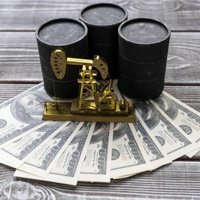 Money Morning Global Resources Specialist Peter Krauth said in his 2013 silver price forecast that the white metal, which closed at nearly $33 an ounce Wednesday, could hit $54 an ounce next year. In fact, Krauth said he likes to think of silver as "gold on steroids." But investors have largely overlooked another key factor that will contribute to higher silver prices over the next couple of years. That's global industrial demand for silver, which will start to take off in 2013. As November comes to an end, silver prices continue to hold their luster even in this down week. On Tuesday, spot silver increased to $34.26 an ounce, its greatest level since the middle of October, before it dropped to $33.76. Silver traders have hit the sidelines as economic news such as fiscal cliff discussions, the Greek bailout and an appreciating U.S. dollar have been a drag on the white metal. James Steel, HSBC metal analyst said to Reuters of the current prices, "We believe gold and silver prices will tend towards consolidation, as investors await further developments on the U.S. fiscal cliff negotiations." But don't worry silver bulls, there's still enough good news to keep you happy. As the week comes to an end, Comex December silver prices are trading at $32.45, a slight decline from yesterday. For the week, prices are off about 1%. Recent economic data and concerning news from abroad have hit precious metals this week, leading to their declines. Gold has been stealing headlines as fear surrounding the fiscal cliff drives investors to seek safer assets. Should Congress and the president not reach an agreement by early next year, this will provide an opportunity for gold to shine. But the white metal, with its volatility and recent high prices, can hold its own and also has the potential to increase in the short-term due to a few reasons. Sure, gold remains the favorite of most precious metal investors, but THIS is the metal you really want to double down on right now. Three catalysts will propel the price much, much higher over the coming months and years.